Prospect Talk: Why Aren’t We All Swooning Over Vincent Velasquez? In the search for prospects to fill my own roster prior to the season, I came across Astros pitching prospect Vincent Velasquez and wound up falling head over heels in love. You’re unlikely to find him on many current top 100 lists, but scouts are beginning to sit up and take notice. Vincent Velasquez is one of the best pitching prospects that nobody is talking about and he provides you with an excellent opportunity to pluck a solid future major league pitcher out of relative obscurity, but you’d better act now before the rest of your league wises up. The Astros selected Vincent Velasquez in the second round of the 2010 draft out of Pomona, CA and assigned him to Greenville of the Appalachian League, where posted a 3.07 ERA (3.98 FIP) in six starts and two relief appearances before undergoing Tommy John surgery in September of 2010. After missing all of 2011, Velasquez returned and performed well in nine starts at Tri-City in the short-season New York-Penn League to the tune of a 3.35 ERA (2.85 FIP). Despite logging solid numbers throughout his minor league career, he was still flying under the radar heading into this season. Despite this, Velasquez has done nothing but shove this season a Low-A Quad Cities of the Midwest League and the buzz around him has started to gain speed. In 16 starts and 9 relief appearances, he has a 3.19 ERA (2.85 FIP) while striking out 27.2% of batters against a 7.2 BB%. I spoke to Baseball Prospectus’ Zach Mortimer about Velasquez, and he said that he combined a plus fastball (it sits in the mid-90s and touches 96) and changeup with a chance to develop a plus curveball. He also noted that Velasquez had a fast arm and an athletic delivery. Depending on your situation, it might be best to wait and see how adapts to the higher minors (he’s rumored to be close to a promotion to High-A Lancaster of the California League), but as the hype continues to grow you might find yourself missing out on Velasquez if you don’t pull the trigger. Vincent Velasquez projects to be a very solid major league pitcher in the future, with the possibility of him becoming a number 2 starter if everything breaks correctly and he develops a solid to plus curveball, a pitch that has been rapidly improving for him. At worst, Velasquez could wind up being at the back end of an Astros rotation which projects to be headlined by the likes of Mark Appel, Jarred Cosart, Lance McCullers, and Mike Foltynewicz. All stats courtesy of FanGraphs unless otherwise noted. 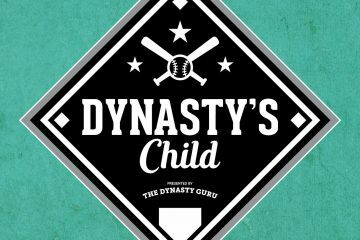 Ryan Potter also writes for Beyond the Box Score and co-hosts a weekly podcast, Born on Third, with fellow TDG contributor Craig Goldstein. You can find him on Twitter @80GradeWant. 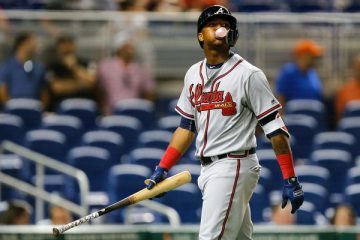 TDG’s Triple Play: Atlanta Braves! thanks I read those before. Was looking at more updated info… I know the rays take their time with prospects just curious if he is worth holding onto. He’ll probably start at AA next season, so he could have a shot for a few starts, but more likely will be up in 2015. The organization really likes him, so he’ll have every chance to succeed. It’s hard for me to play a “name game” here, though. Maybe Glasnow, all of those guys are good prospects. A guy who people aren’t talking about enough that has some similarities to Vincent Velasquez is Steven Matz. Similar ceiling (legit #2 SP; mid-90s heat from the left side, plus slider, average changeup with room to grow) and missed a lot of time with injury. Marc Hulet thinks Matz could experience a Danny Salazar type rise through the minors in 2014. Called up1 What are your expectations?